Back in April we told you about brothers Simon and Tom Rounding who were preparing to race the Transcontinental Race this July on Escapade 105 Disc bikes. If you've not heard about it basically you have to cycle from Geraardsbergen in Belgium to Istanbul in Turkey by any route you see fit (hitting a few check points on the way) and the clock never stops. 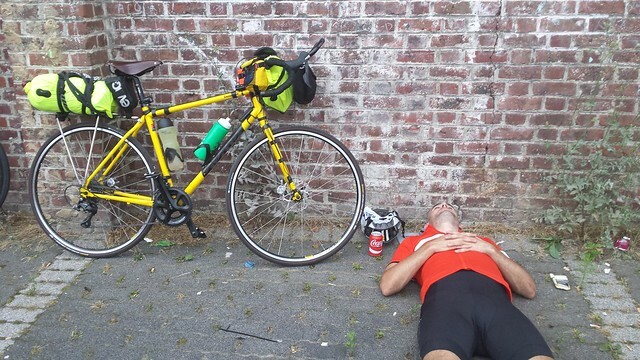 As you can see in the photo Tom tried to get some kip in early before they set off on Saturday. Good luck fellas!